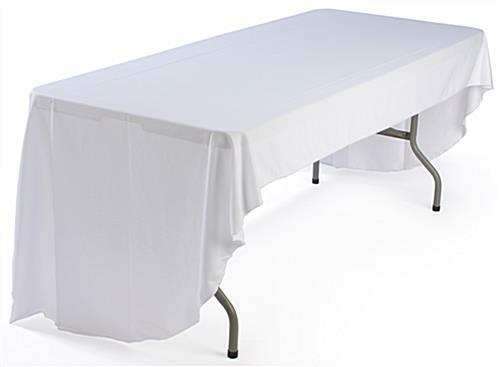 Folding Tables Are Economically Priced For Quantity Purchasing! 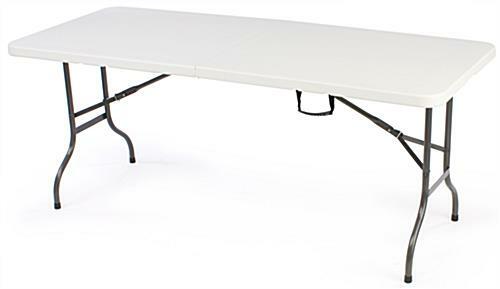 These Cheap Folding Tables Are Just A Small Portion Of Our Huge Product Line! These folding tables make traveling to trade show exhibitions simple! The 6-foot-long counters, folding tables each feature a plastic handle for carrying your table. Collapsing legs and a folding tabletop minimize the amount of space each unit takes up, to a mere 36" x 30". Folding tables, also known as trade show accessories, even include metal collars on the legs for additional stability when set up. 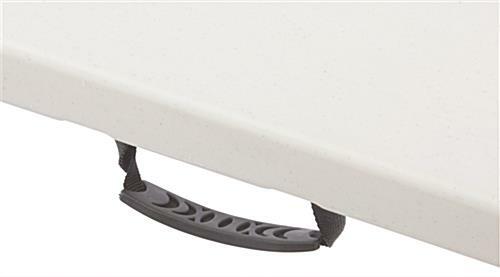 Folding tables feature plastic molded countertops, creating a durable display surface. 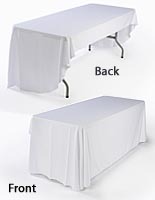 We also offer folding tables with their own polyester covers, to add a touch of style to any presentation. These display tables, folding tables are covered on (3) sides, leaving the back open for seating or storage. 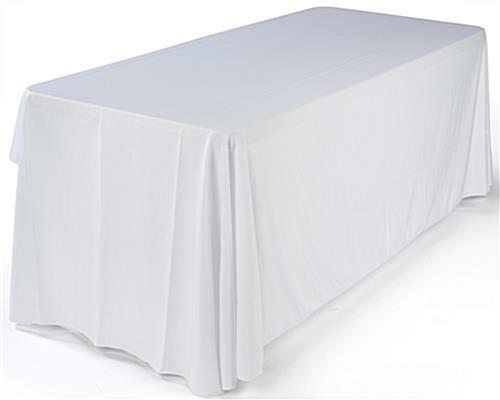 Each table throw features a seamless design and rounded edges to create a smooth presentation. We provide each of these folding tables with a flame test certificate, from an independent testing laboratory, guaranteeing each table cover's durability. 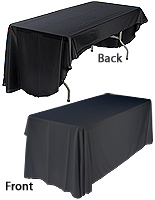 These presentation tables are reliable folding tables you can use at a variety of events!